Guess what! Guess what! 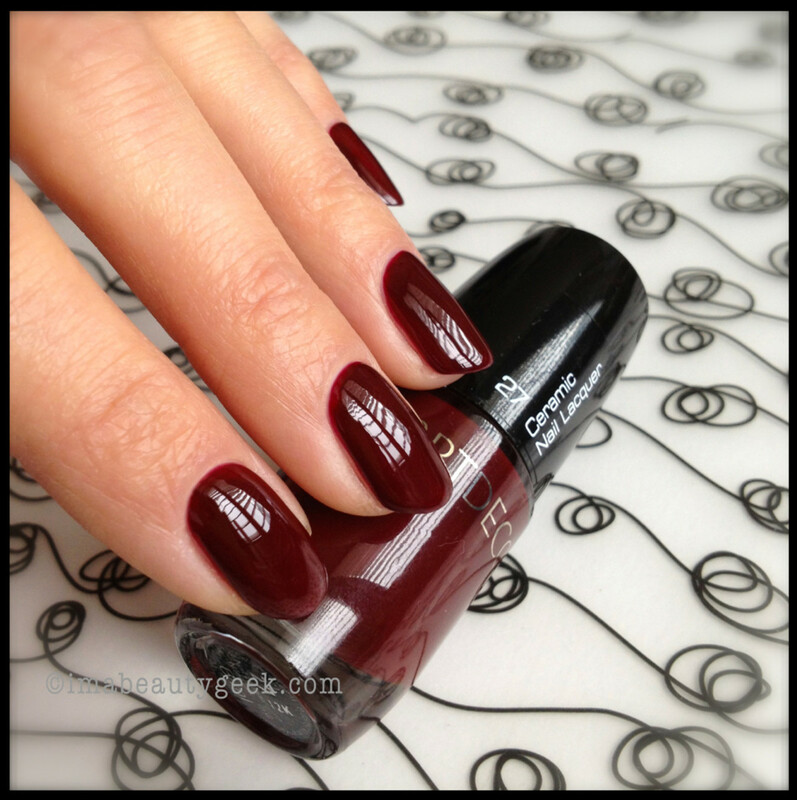 There’s a polish out there you likely haven’t tried and it’s really, really good! 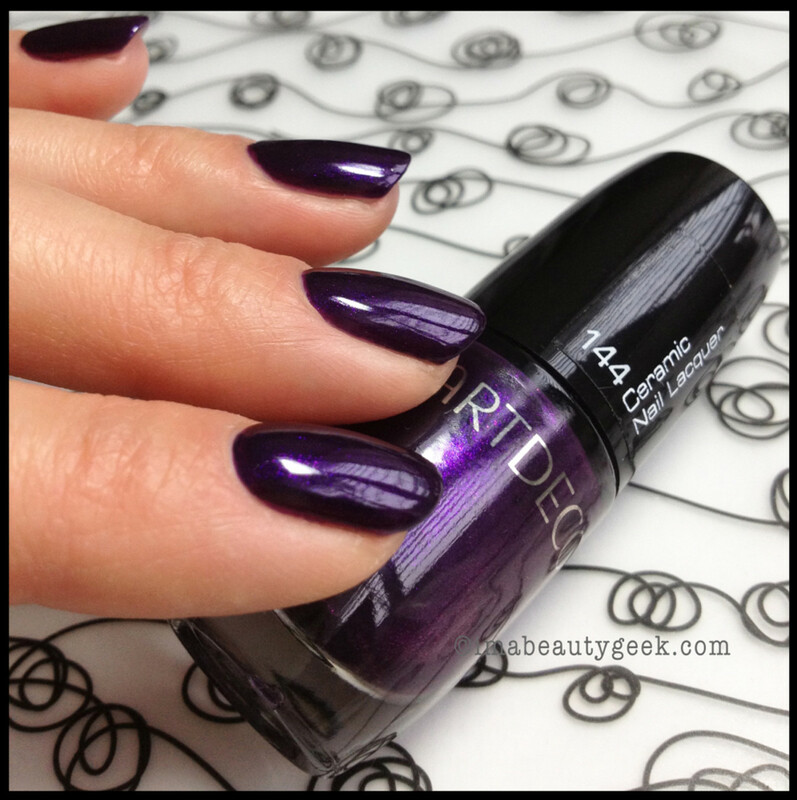 Artdeco nail polish is kind of new to our market. If you&apos;re in Germany, it&apos;s old news because Artdeco is a market leader there. If you&apos;re in Europe, or the UK, also old news. 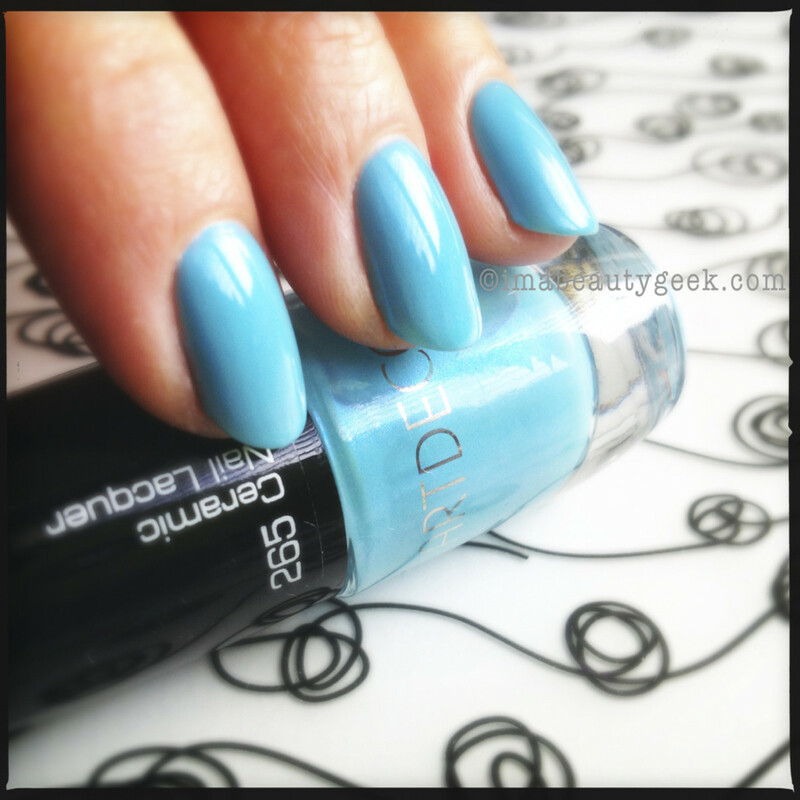 But if you&apos;re in Canada and haven&apos;t tried Artdeco nail polish yet, read on, fellow polish junkies. First let&apos;s look at some colours. 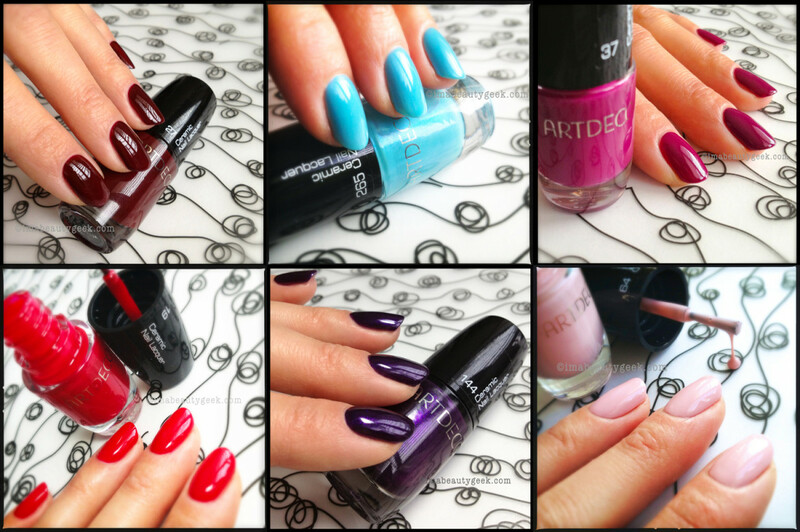 Then I&apos;ll tell you why you should love Artdeco nail polish too. Artdeco 265 Bright Sky It’s got such a subtle shimmer it’s very nearly magical. If you were wearing it, I’d probably grab your hand, examine your nails closely, ask you what it was, and demand you tell me where to get it. It’s a Gimmie That. Artdeco 19 Shocking Pink I have to say the brush on these polishes is tops. I love it – it suits my polishing technique perfectly. But this shade – oh my – a beautiful deep pinky red that levels superbly and goes on like a dream. 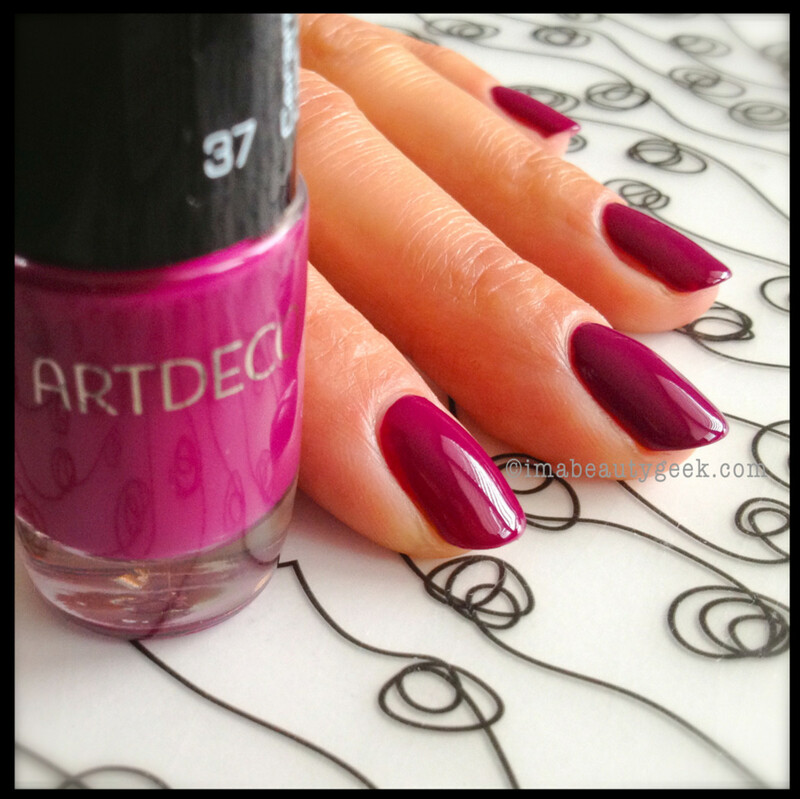 Artdeco 37 Cherry Blossom Magenta. 2 coats. Love. 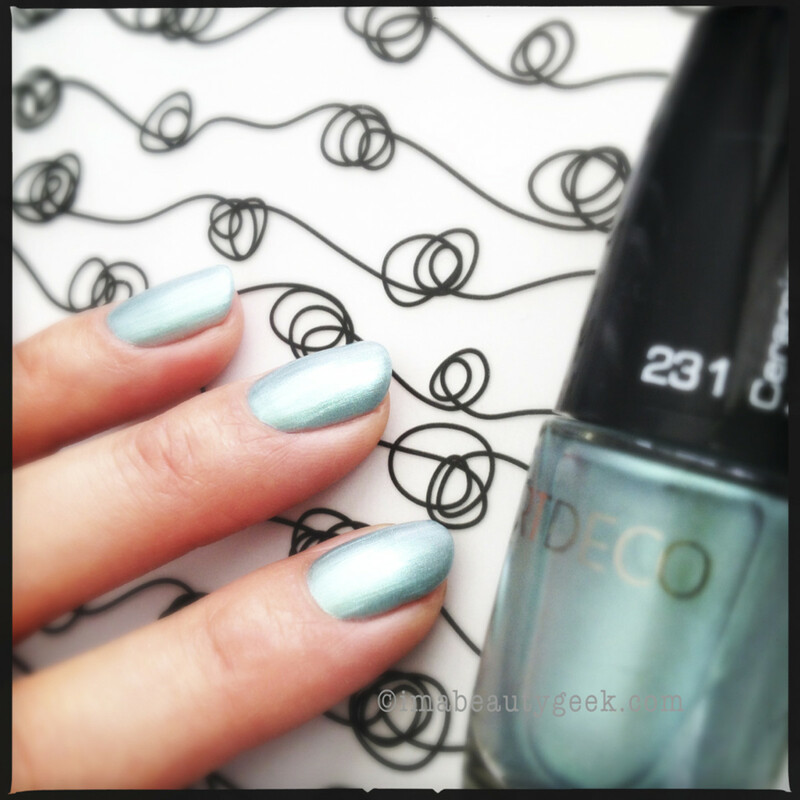 Artdeco 231 Cosmopolitan Green Work quickly with nice even strokes then add a top coat to this icy blue-green to make it just stunning. Artdeco 64 Gentle Peony One of my favourite shades of baby pink crème polish. Gentle Peony is kind of a perfect name. Artdeco 27 Black Red First coat is streaky and worrisome, but just carry on, careful to keep your brush parallel to the nail and your finished product should look exactly like mine: a beautiful rich mahogany red. Artdeco 136 Peacock Coquette I don’t even know how to describe this shade of awesome – midnight, maybe? Almost navy, maybe? Awesome? 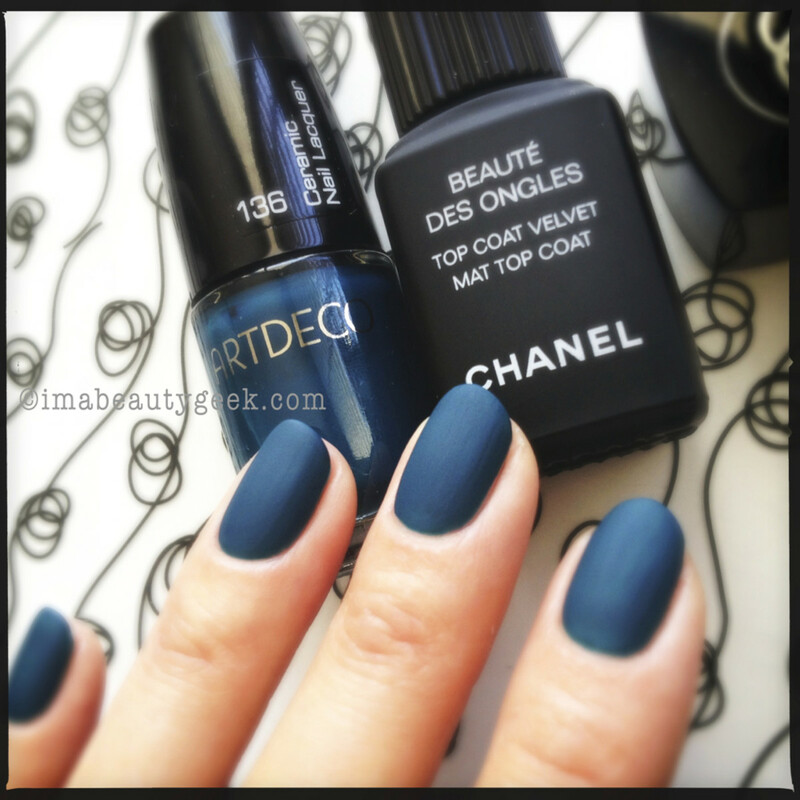 Artdeco 136 Peacock Coquette + Chanel Mat Top Coat. Oh golly. Gimmie, gimmie gimmie. Oooooh. 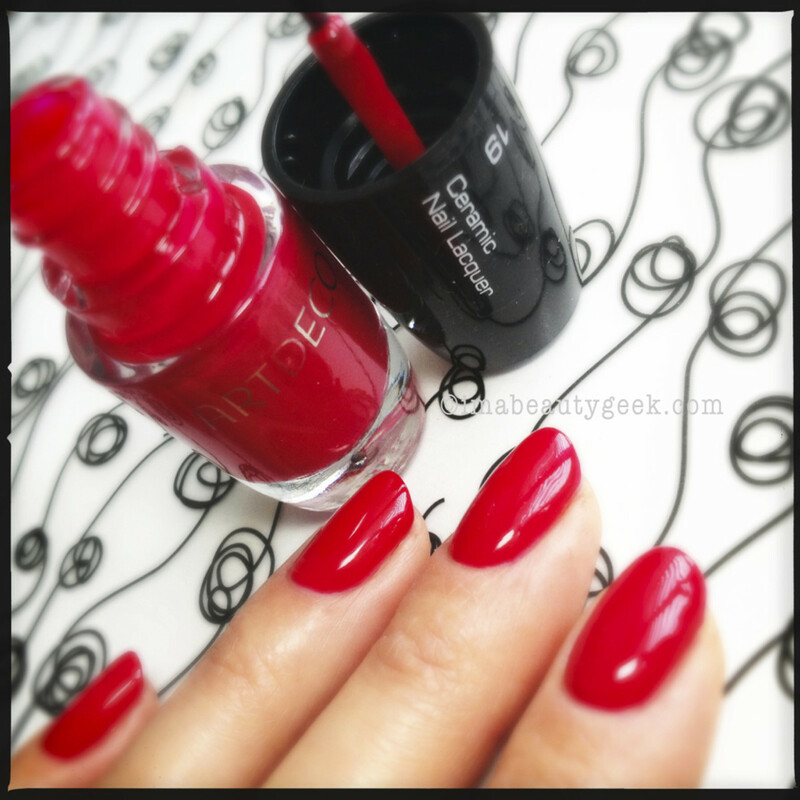 Artdeco 70 Red Clover It’s a crème coral-ly rose and it’s a OCW!!! * The formula levels brilliantly – the stuff goes on like magic with super pigment and generous shine. All in one coat. J’adore le OCW!! Artdeco 144 Pearly Crystal Lilac Lilac? Not so much. Blackened metallic purple, yes. It actually takes 3 coats to achieve what I’ve shown you there and mostly, I don’t dig 3-coaters. This one? GimmieGimmieGimmie. So what’s the deal with this Artdeco nail polish? What makes me like it so very much? Well, there are a handful of things. First, look at the shade range. I’ve only shown you nine, but there are at least 100 more colours with new shade collections launching every few months or so. Then we should talk about the brush and polish combination – it’s happy good. It’s VERY happy good. The polish consistency is pretty much even across all the shades I swatched for you. The stuff all levels nicely and that brush is the perfect length to move polish around and put it exactly where you want it. Need proof? Check out how close I got to my cuticles in every single shot. A.Mazing. Then there’s the lid – it has a satisfying little click-closed noise so you know you’ve closed your precious bottle up properly. And finally the dry-time – it dries equally as fast as any quick-dry polish out there. I like it - a lot. 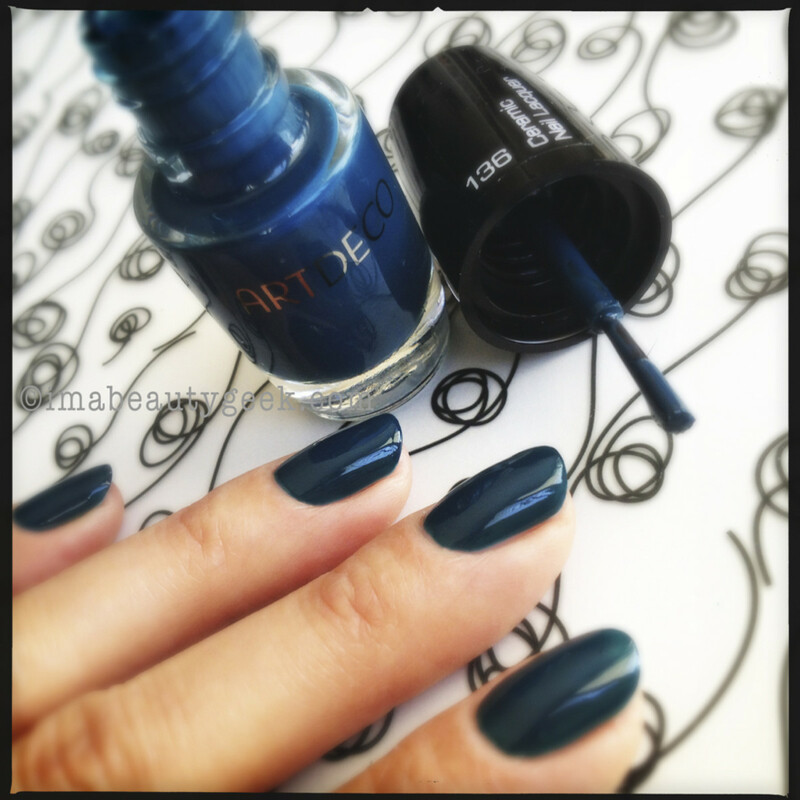 An unknown (to us), Artdeco nail polish has jumped right up into my top 5 favourite polish brands. 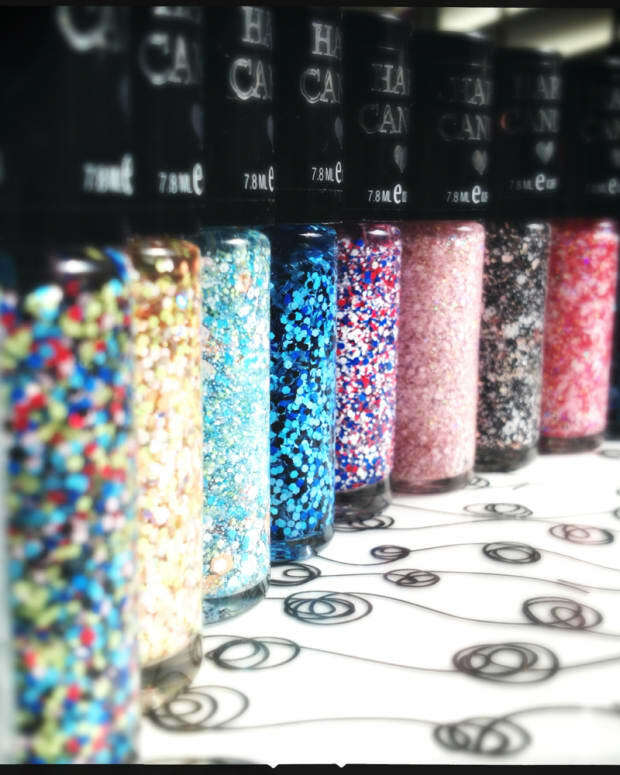 It’s up there with OPI, Anna Sui, Essence, and Sally Hansen. 100% true. 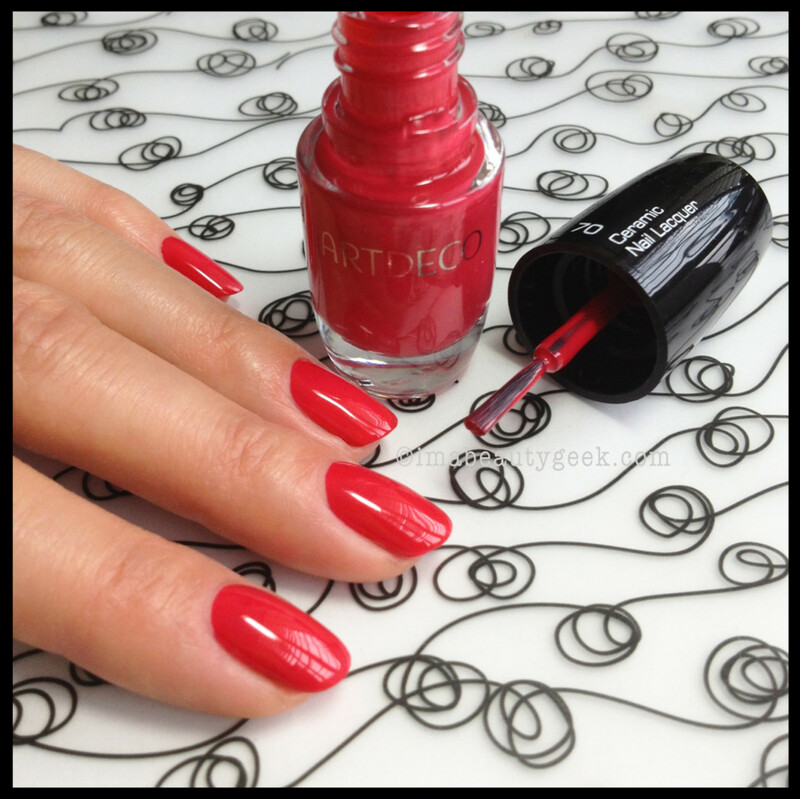 Arteco fills all my criteria for a great polish. The formula is remarkably consistent across shades, the brush does what I tell it to do, the shades are highly pigmented, and it dries fairly quickly to a nice shine. 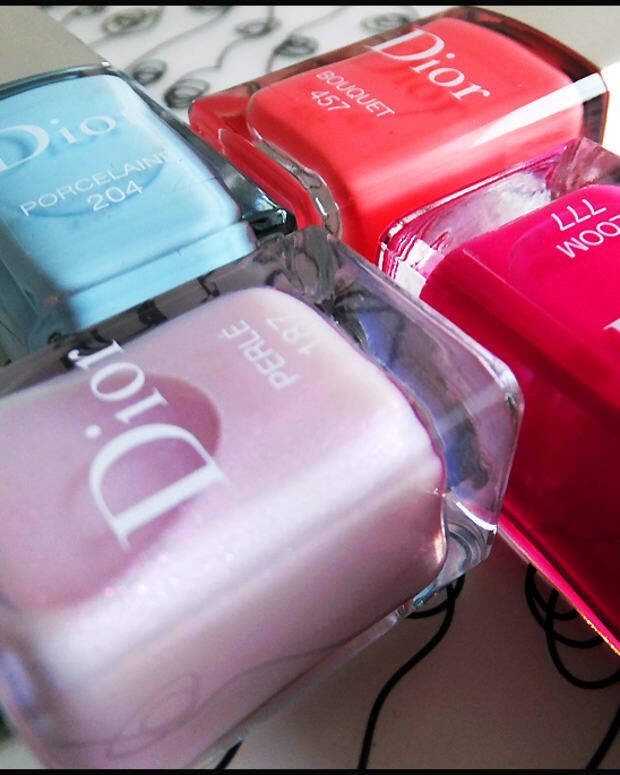 There ain’t much more a polish-fiend can ask for, is there? 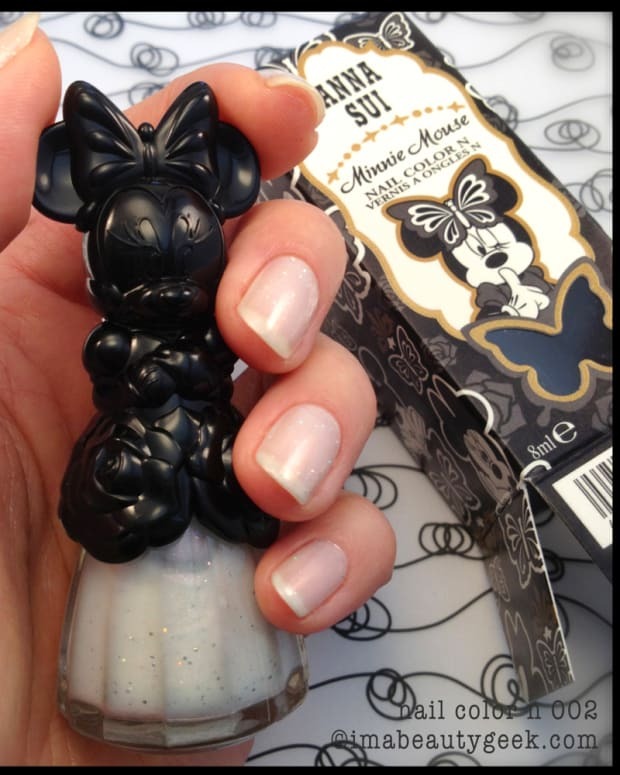 Officially launched in Canada June 2013, by the end of year we’ll be able to find Artdeco polish ($12-$14) in 66 select Shoppers Drug Mart locations across Canada with more to come. How’s that for happy news? Manis ’n photos by Karen Falcon (she has a package of Fig Newtons on her desk) ©2013 BEAUTYGEEKS/imabeautygeek.com. *OCW! !=one-coat-wonder, remember?